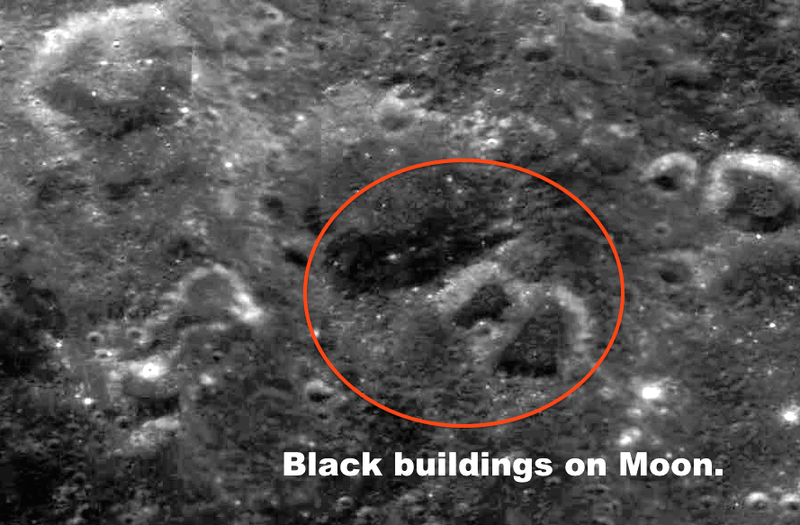 UFO SIGHTINGS DAILY: Dark Black Structures On Moon In Navy Archives, Oct 28, 2016, Photos, UFO Sighting News. 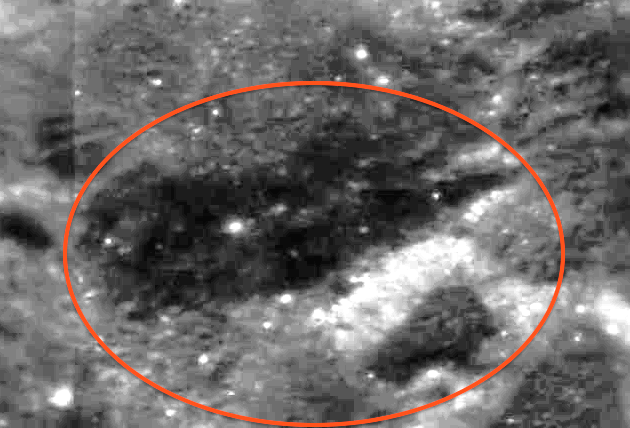 Dark Black Structures On Moon In Navy Archives, Oct 28, 2016, Photos, UFO Sighting News. 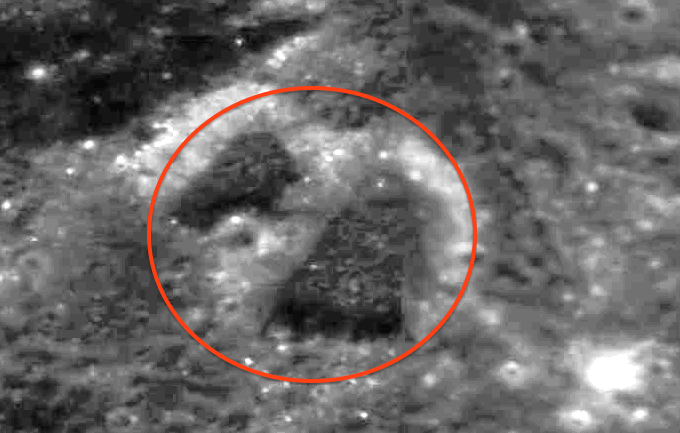 These are three of the dark black structures that I have been talking about over the years. They are radar absorbent like a Stealth Bomber, and camouflaged to hide well among the terrain. Look at the screenshot below. You will see all three structures. They are chaotic and totally not what you would expect, but thats aliens...they think differently from us in every way. Do you see the giant black building with glowing lights all around it below? Let your eyes adjust to it and try to make out some of its detail. kind of remarkable aren't they?